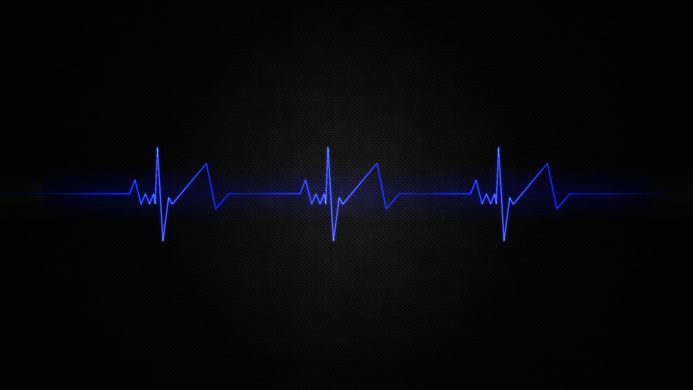 The speed of the heartbeat is measured by the numbers of contractions of the heart per minute. 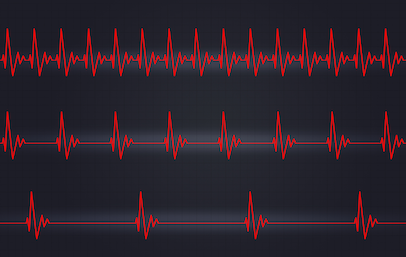 When you start to make the measure of this heartbeat electronically, it's possible to observe a pattern based on electrical activity of the heart that can graphically been showed in a interval of waves. Ok, let's make it more visual. This waves are the perfect demonstration to show graphically that the heart of someone is still beating, that this person is still alive. If there is no waves and a constant line, after while there is no life anymore. It's like each of us, not just biologically talking, but psychologically. It's about being human, having emotions and live the life that was given to us this time as a single "shot" to use. Think about how many moments you had in your life, from the best to the worst ones. How this line were moving in this interval of high and low moments with some constant ones. Like the chart that you see above. The BPM can changed because of several reasons and this beat can get faster or slower, like when you are sleeping or just running a marathon. The frequency how the line is gonna reach high and low peaks are gonna be faster and more intense if you're running a marathon and the constant line between the two intervals almost are gonna disappear. However while we are sleeping, this frequency are gonna be slower and this intervals of constance are gonna be longer. That's how I see the life in fact, psychologically talking. The way that we decide to face our existence and live the life that are gonna make us more or less alive. While I'm living these intense moments, I see my life passing faster and faster, feeling more pleasant and feeling more and more alive. These high and low moments are more present, almost not existing the intervals of constant, moments that we are just living for living. Avoiding feelings, intuitions, affection and love, this high and low moments stop to exist or barely gonna show up. This process of protection, block us to feel, making a big wall between us and rest of the world, making the line being completely constant in this beating chart. Even being alive, we are psychological dead, blocking ourselves from the meaning of existence. I know how hard is suffering, how hard the pain can be. I remember the times that I suffered a lot, seeing pieces of my body falling down. Seeing my mind exploding by a grenade and disappearing afterwards. These low moments are extremely hard to handle, but really hard, every single day I face them. Maybe I just ignore them, until the moment that they will show up to face me back. It can be really heavy and living intensively, like the BPM frequency can come more and more often. At the same time, the biggest motivation that I have in making my heart beat been faster is the pleasure that I can have in the high moments that make me feel fully alive. So much more than a life full of constant moment in few curves in the chart. In the ending like the chart below this high peaks moments are gonna be really more notable than the low ones. You can take care about yourself and make your own decisions, but don't forget that you have just one chance to live your life. You can maybe spending your entire life sleeping and seeing it been passed constantly or just start this marathon and give yourself the chance to live without this wall, allowing emotions, feelings, affections and love be part of yourself. Ale Usa. Tecnologia do Blogger.